Baby kicks! 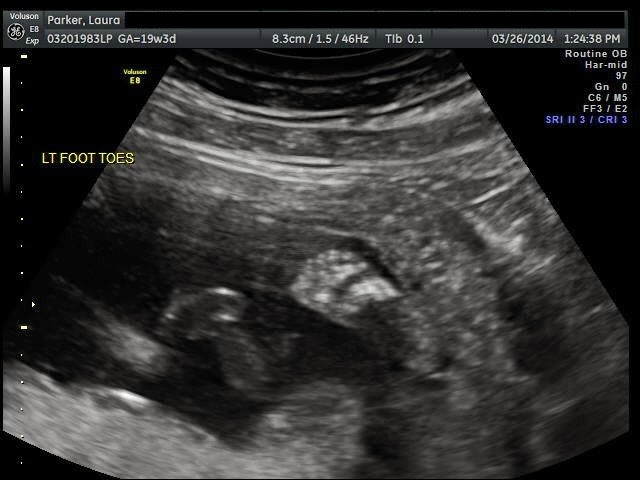 Ohh how I love those little tootsies already! I'll check back with all you lovelies next week! Have a great weekend! Aw Ruby rides like that with me in the car too! Except she is much smaller! Have a ton of fun this weekend! Hope you guys have the best time!! I have yet to experience In&Out Burger and I'm so mad I didn't have it when I was in vegas...happy friday!! Finn is so precious! 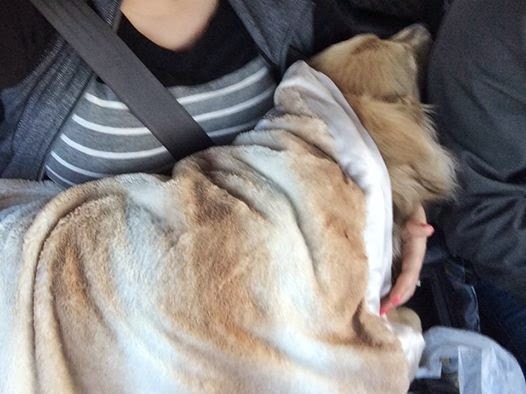 Pixie gets nervous in the car too and keeps her head either on my shoulder or under my arm. I love it! Enjoy your weekend! Have so much fun!! I love Southern Cali! I have never been to an In & Out.. shame! Have a great weekend!! I had my first in & out last week and it was divine!!!! Have a great weekend down here girl!! I would be out of town the weekend that you're down here! Yay! Have fun in SoCal! And poor Finn boy! We went to Reno a couple of weekends ago and literally had to get Bella puppy relaxers cause she gets sooooo anxious in the car. So it was night night for her the whole right haha. Have a great weekend. Dogs are funny and we love them even more for it. So fun! Happy road tripping and weekend! So fun! Eat a burger at In-n-Out for me!